Convert ISO to MP4 format or other 500+ formats at 90X faster speed. Easily transfer the converted video files to iPhone, iPad, Android devices. Edit ISO video with the powerful built-in video editing tool. Download videos in batch from 1000 sites. Burn videos to DVD with free templates. Compress large video, record video, make GIF images, etc. An ISO image file is the backup of a DVD movie that contain all the VOB files on a DVD. Have some ISO files and want to play them on your MP4 player? If so, you will have to convert ISO to MP4 since ISO isn't supported by regular MP4 players like iPhone, iPad,iPod, Android, etc. Check this article to get the best ISO to MP4 converter. To convert ISO to MP4, you just need to get an ISO to MP4 converter. 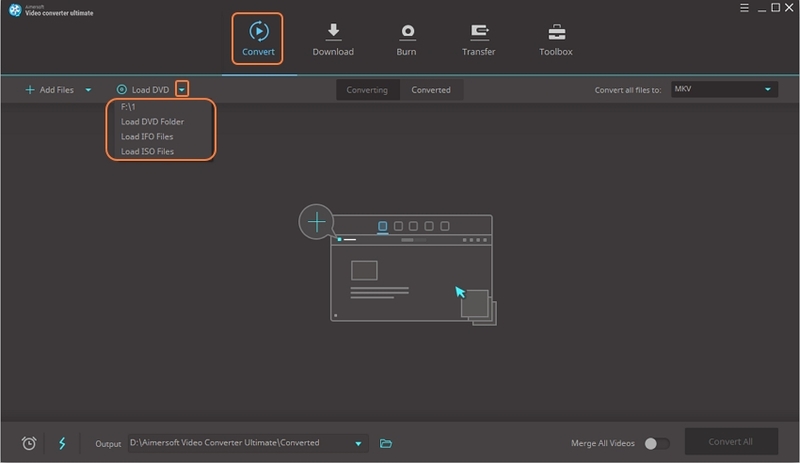 Aimersoft Video Converter Ultimate , a professional ISO converter program, can help you effortlessly extract MP4 videos from ISO files for any regular player, video editors or online websites. What's more, the built-in video editor allows you to edit the videos before the conversion so as to get really what you want. Moreover, it can convert DVD and IFO files to AVI, WMV, MKV, FLV, MOV, etc. for playback anywhere. Easily convert ISO to MP4 or other 500+ video/audio formats without losing quality. Edit ISO file like trimming, cropping, rotating, or adding subtitle, watermark, etc. Burn videos to DVD with templates; or burn music to CD with ease. Download online videos from 1000 popular sites like YouTube, Facebook, Vimeo. Transfer videos to iPhone, iPad, iPod Touch or Android devices easily. Compress large videos, create GIF images, convert VR videos, etc. The guide below shows how to convert ISO files to MP4 in Windows (Windows 10/8/7/XP/Vista). The steps to convert DVD ISO files to MP4 on Mac (macOS 10.7 or later) are the same. Just make sure you download the right version according to your computer's operating system. Launch Aimersoft ISO to MP4 converter and click Load DVD > Load ISO Files to add ISO movies from your computer. All the loaded files will be listed on the left. To convert ISO to MP4, in this step please click Convert all files to option. Choose MP4 under the Video tab. 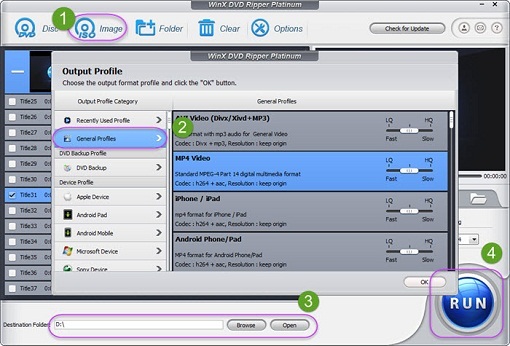 As you see, besides MP4, you can also convert ISO to AVI, ISO to iPad, ISO to WMV, ISO to MOV, etc. Check to make sure all the settings are OK and then click the Convert All button to begin the ISO video to MP4 conversion. After that, click Converted to get the video clips and play/edit/share them anywhere you like. In the following section, we are going to acquaint you with 3 different ways that are useful in converting ISO to MP4 for free and understand how it is used. The name of Any Video Converter is very much suggestive of its functionalities, capabilities of compressing a wide range of video files. 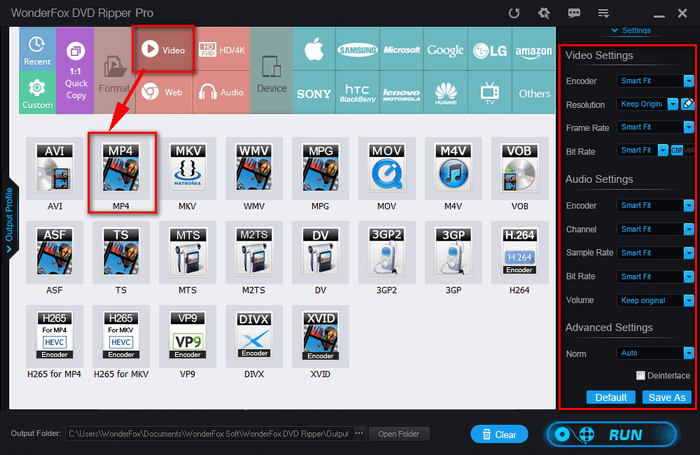 This video converter has an expansive compatibility with popular formats like DIVX, DV, DVR-MS, MPEG, ISO, F4F etc. Hence, converting ISO to MP4 can be done without incurring any additional costs or anything. Here is the step by step guide that shows ISO to MP4 conversion using AVC. Step 1. 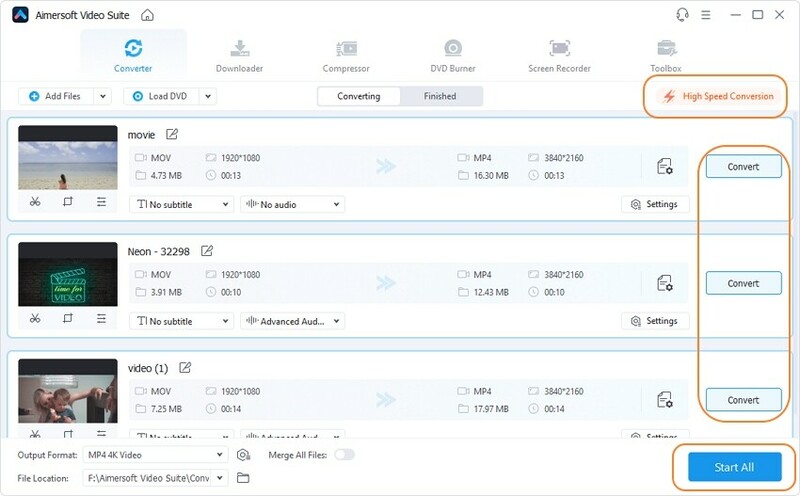 Download Any Video Converter followed by adding ISO file through “Add CD Disc” drop-down list button followed by clicking on “Add DVD ISO Files”. Or, use the drag and drop functionality to execute the same. Step 2. From the program interface, opt for “Customized MP4” as the output format. Step 3. 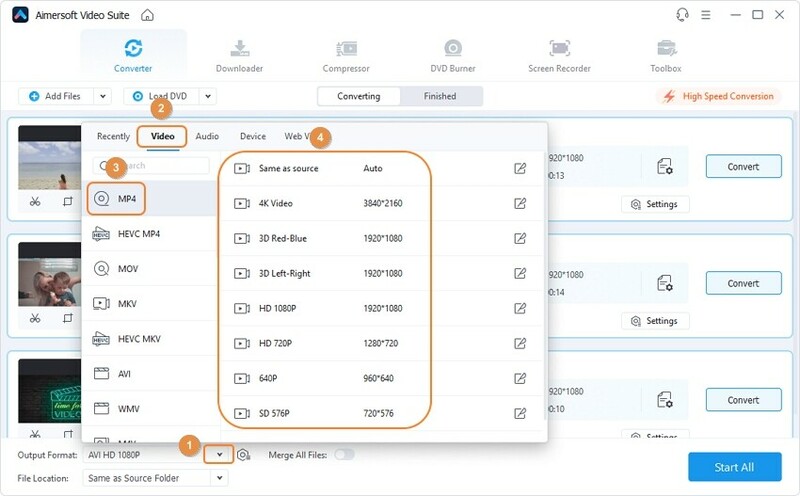 Optionally use the advanced setting like modifying video size, video aspect, bitrate, frame rate etc and then head on to click “Convert” to accomplish converting ISO to MP4 file for free. Undeniably, WonderFox DVD Ripper Pro is a beast tool packed with simple, appealing, interface that can be bookmarked for several purpose.You can convert ISO to MP4 for free, use this program as an excellent source of DVD library, backing up files and switching your DVD movies easily. Here is its quick step by guide on converting ISO to MP4 file! Step 1. Start by running the program and import ISO file by using “ISO Image” button. Step 2. Now, load the output format menu over the right side and opt for “MP4” option in the “Video” part. Step 3. Lastly, set the desired output path and tap on “Run” button for processing conversion. Without any speck of doubt, WinX DVD Ripper Platinum stands as a considerable means of converting ISO type of file to MP4 in a much speedy manner. It claims to provide hundreds of conversion combinations. WinX DVD is even tailored to rip down devices such as smartphones, tablets, gaming consoles etc. Now, here is the complete guide on how to convert ISO to MP4 for free. Step 1. Install and run WinX DVD Ripper Platinum. Now, select “ISO Image” and opt for the desired ISO image by tapping on “Browse” and pressing “OK” afterwards. Step 2. Now, make due selection of the output format by opting “MP4 video” under the “General Profiles” menu. 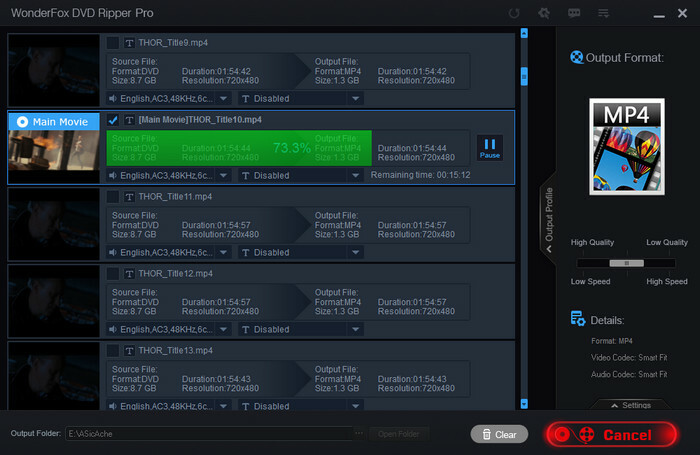 Select the desired Output folder and tap on “RUN” button to process ISO to MP4 converting.